Illustrated with sketches, plans, and photos. 8 pages of color photo-graphs. 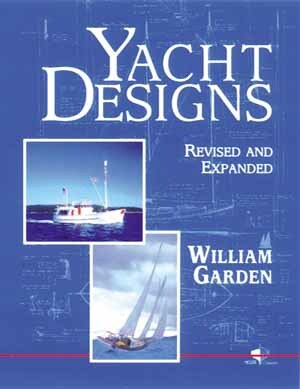 Bill Garden's classic first volume, revised with double the number of designs included. Dozens of detailed drawings plus delightful descriptions and reminiscences of the boats and the people who loved them. Garden's writing style is just as far-ranging and eclectic as his boats, whimsical and informative, lighthearted yet solidly grounded, serious, thought-provoking and thoroughly engaging. The text accompanying each design centers on the background of each boat rather than on a technical study. Each essay is as different as the boat it describes, sometimes explaining a detail of the building process, or the events that led to a design, or the individuals involved, or the evolution of a yacht type, or Bill's own unique outlook on life and the boats he loves.